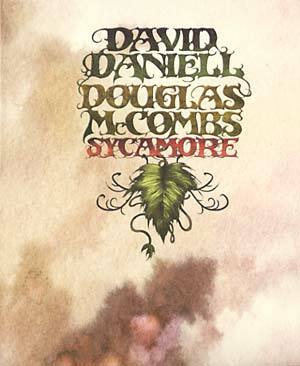 "Sycamore is a delicate tapestry of spacious and ethereal guitar lines woven into abstract, slow-burning and multi-layered textural improvisations. The sounds blend and overlap to create richly faceted and thickly psychedelic passages, unveiling new layers of detail with each and every listen. The LP and CD will come in a deluxe limited edition for each format with artwork by illustrator and painter Arik Roper. David Daniell is a member of San Agustin and has collaborated with Loren Connors, Rhys Chatham, Tim Barnes, Jeph Jerman, Thurston Moore, Greg Davis, and Jonathan Kane Douglas McCombs is a member of Tortoise, Eleventh Dream Day, Pullman, and Brokeback and has worked with Tom Ze, Azita Youseffi, Will Oldham, Yo La Tengo, and Calexico."